Technology is the backbone of today's demanding business world. We offer a complete range of customizable services to support your business and assist you. They are the areas that we excel in, so that you can get back to what you do best, providing an excellent experience to your customers... technology is our fun, get back to yours. We have currated a selection of services designed to support your business and ensure your continued success. We look forward to collaborating with you on our next incredible project! Knowledge is power and that's what we offer when you request your free quote. 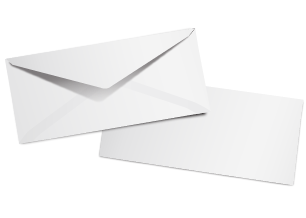 We will let you know the ins and outs of what you should expect when receiveing service from us or any potential vendor. There's nothing like Christmas morning and that's how we want you to feel when we've completed our work and delivered to you. Take home the experience of working with our wonderful team for your next project. It doesn't end there. Once our project is complete, we follow up to ensure that your services and products are working out. We are dedicated to your satisfaction and our quality of service, each step of the way. Development covers a broad spectrum, from simple website creation to full-blown web or mobile applications. But, we easily realize your ideas by knowing that each project proceeds through the same basic steps. First, we review the project requirements with you in a discovery phase. Next, we break down the structure of the site or application and create wireframes to represent each piece of the product. Then, we begin the development using the required frameworks and/or languages that best suit the project. Once built, everyting is tested. Finally, we launch but the work isn't done there. We will monitor and complete bug fixes post launch to make sure things are working properly. Engage your audience! They say image is everything. But imagine a brand that you can stand behind and be proud to have represent you? Our team of graphic artists help you with the initial conceptualization of your brand. Then walk you through the stages of brand development including logo, brand guidelines and corporate image. Then, we continue that path as, together, we hone your brand through a consitent, powerful print media and a digital presence. Helping you get noticed with the right blend of powerful and original that is quintessentially you. Visually communicate your message! Computer systems are the building blocks of today's technology driven business model. As long as your systems are running smoothly, your communication to your clients can be clear and impactful. We have the processes in place to manage the entire gamut from your hardware to your software. From computers, servers, phones, tablets and anything else in between, we know technology. We offer routine or real-time monitoring and maintenance as well as the occasional tune-up. Connect via the latest digital infrastructure! We are your website administration department. Need quick updates for upcoming events? Do you want to have a new team member added to your site? Need to upload a new blog post? Just let us know! We can simplfy your workflow by doing all of your webpage content updates for you. Our team can take the guesswork out of regular backups and updates to your sever or website content management system. Get on-demand website upkeep! Are you interested in having someone else take care of your website hosting for you? We give you access to the professional hosting experience you desire. Maybe you’re not familiar with the ins and outs of databases, ftp servers and html files. Or you’re just more interested with the ins and outs of your business. We get it. And we can help by offering your website a home that we can manage for you. Our servers utilize blazing fast SSD Drives, CPanel Access, Branded Email and Softaculous quick install libraries including WordPress, Joomla and Drupal quick installations. 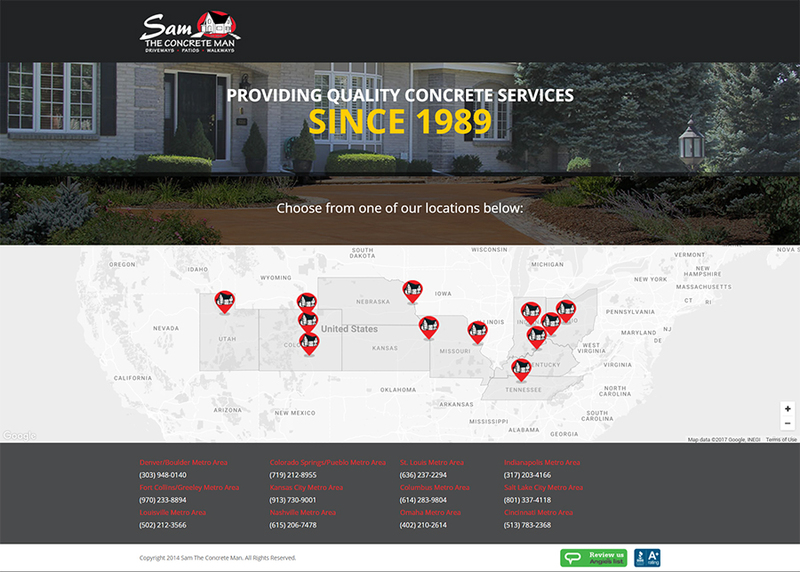 Give your online presence a solid foundation! We define your website development process by offering domain name registrations and managment. Register your new domain with the latest TLD's offered and assurance that we are monitoring your domains registration state. You will never have to wonder if your domain needs renewed again! You will never have to wonder if your domain needs renewed ever again! Stake your claim on the world wide web! Are you new to the business world and need some advice on how to get started? We can offer you guidance on registering your business, business structure, writing a business plan and deciding on your market. You have the ideas and we can help you organize your resources to acheive your business goals. We've also partnered with a network of industry professionals who offer the services you will need along the way including, accountants, book keepers, lawyers, marketing consultents, content writers and more. Organize your goods and services! Be seen and heard across the internet. Your message wants to find its audience and your audience wants to find your product. Now, with the right Search Engine Optimization strategy, we can help you and your potential customers do just that. SEO today goes beyond keywords and hyperlinks, as we have the leading industry knowledge to help you take full advantage of the latest options. Pave a path for your customers to find you! Our initial request from Able Rehab Staffing LLC was to develop a platform for the automation of medical staffing requests from Able's clients to their employees via sms. At the time we began, the entire process was performed manually and there were many uniuque aspects of the communication process that we needed to capture and relay. We worked closely with them to plan the project and create exactly what they needed which ultimately saved the fast-growing company invaluable time and money. Upon completion of the application, we were honored to further our goals of the project by developing their website and business card, utilizing their branding they had on hand. 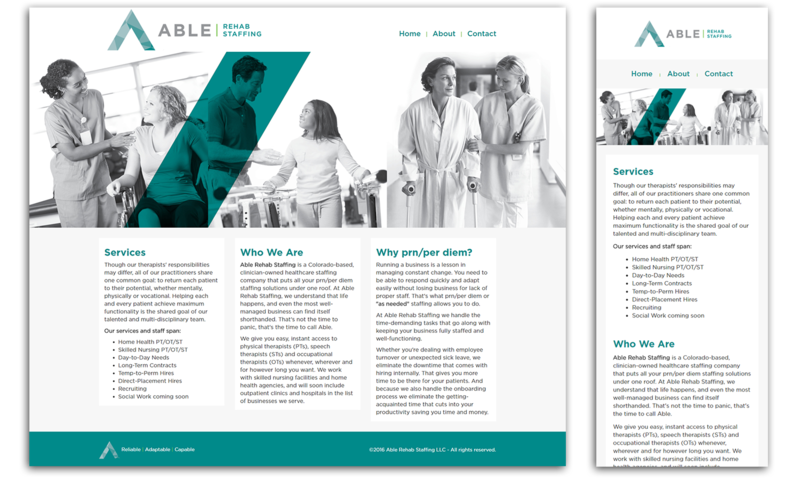 AR Staffing is resale platform and front-end for the application we developed for Able Rehab Staffing LLC. 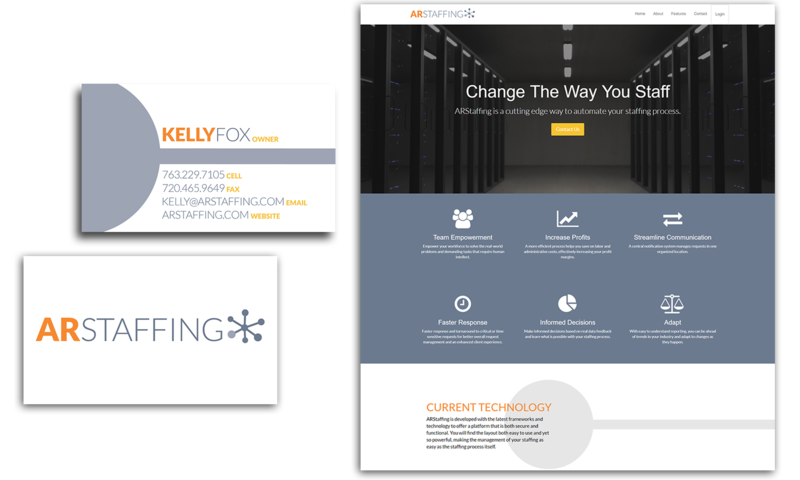 We dove into the overall concept of what the staffing application provided to AR's clients and created a logo, business card and website to brand and promote the platform and services it offered. One of the features was combining contemporary colors and type to stand out in a more traditional field. 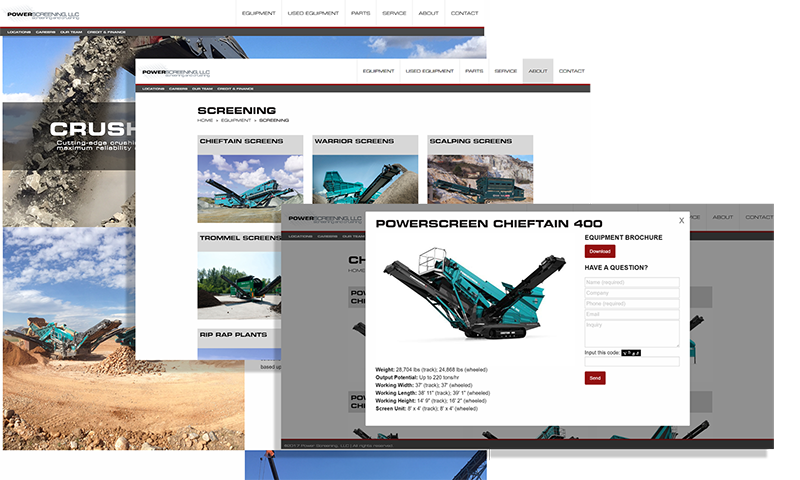 Power Screening is a heavy equipment company supplying rentals, parts and and service for large scale land moving operations. They came to us with an outdated website, but updated and current branding. The requirements were for a WordPress based theme to be developed from the ground up to accommodate internal site managment. We delivered a Foundation 6 based custom theme with a custom theme and plugin to showcase their vast array of machinery that they supply. The theme parallels their current branding and plugin and sports a user-friendly backend for easy managment of equipment profiles. Rent Mini Cranes offers a relatively new product to the market called mini cranes which fill a niche in the crane market and industry. 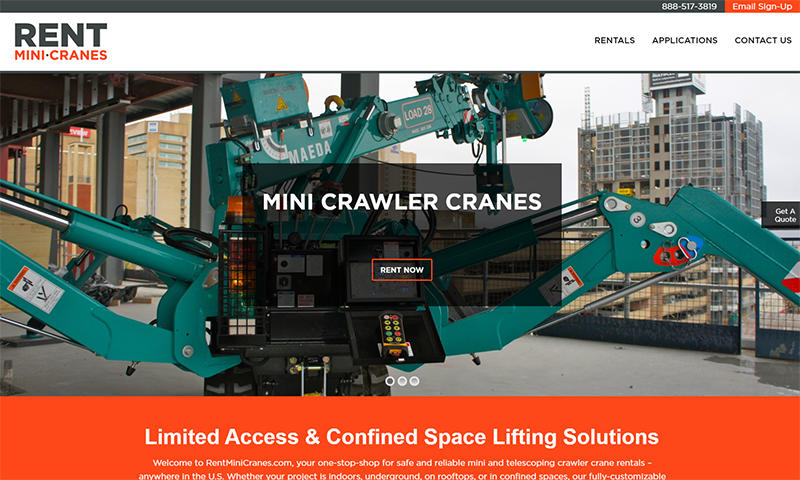 Rent Mini Cranes is held by the same company as Power Screening. So we were able to take the core theme and plugins and utilize them to create a unique experience. Thus leveraging resources in order to save on time and costs for the overall development, which maximized their investment. We were able to tie in the supplied branding to create a site dedicated to customer communication and sales for this new-to-market product. 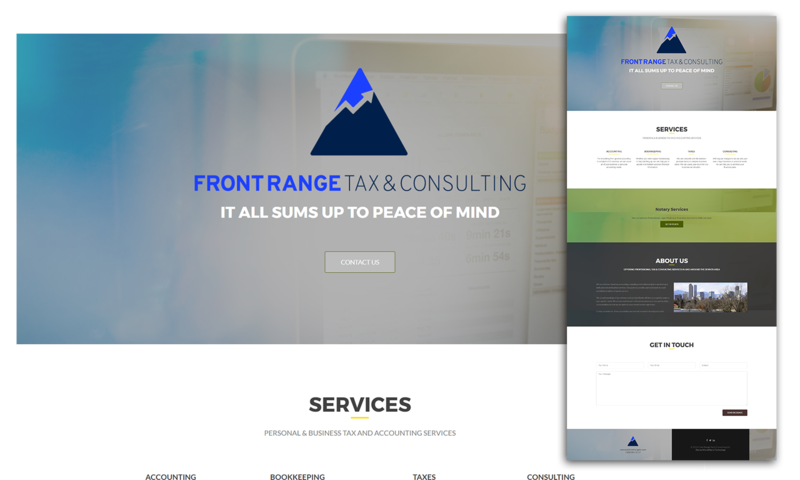 Front Range Tax & Consulting offers accounting and tax related services in the Front Range. FRTC came to us to have a website and logo created. After reviewing their services and target market, we were able to develop a logo that is both current and timeless. We believe it cleverly captures the essence of both the professional services offered, the company name and their targeted region. We spent some time reviewing optons and customized a solution for them via a single page website utilizing WordPress. It provided the company with easy content management and a corporate identity system that worked well for the client and their audience. 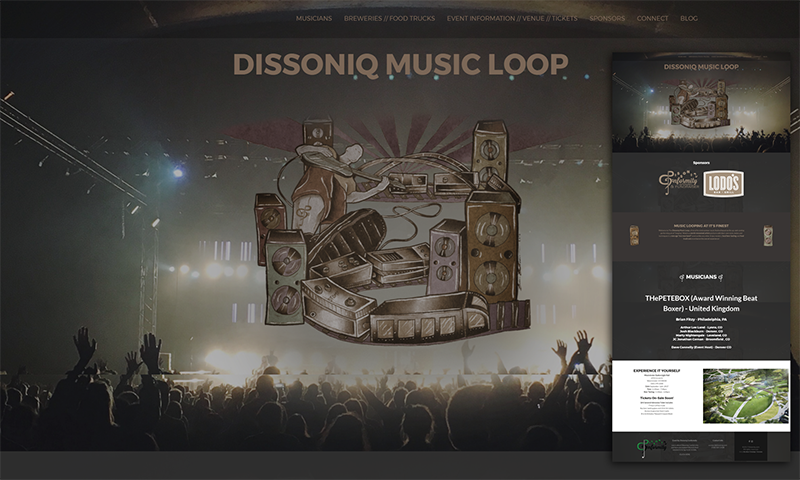 Dissoniq Music Loop is a music festival featuring artists from across the world specializing in a technique called looping. Our client came to us looking for both branding and development services. After learning more about the project, we suggested a WordPress platform and to create a site that would capture the real spirit of the festival. The finished product is showcase-worthy as it utilizes some great effects and styling cues. Sam The Concrete Man provides quality concrete services across the central states. We've assisted them with the management of their websites and launch of their new locations through their online presence as they continue to expand and grow their company. MicroMacro Technology takes the guess work out of hosting and managing my website. I send them updates and they are up quickly. Their pricing is as good as any of the mainstream hosting and administration companies out there, but they go above and beyond with the personal service they offer. I would recommend them to for anyone who needs website assistance. 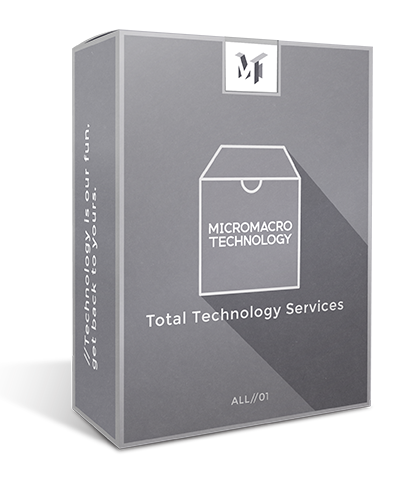 I was pleased with the service I received from MicroMacro Technology. Christoph contacted me shortly after I posted on Craigslist, that I needed broken screens replaced on several laptops. He gave a me a good price, offered references and provided a specific time period when the work could be completed. He even came to my Downtown Denver location to pick up the broken laptops on a weekend. They were repaired and back in working order within 24 hours. I highly recommend micromacro technology based on my positive experience. By appointment only. After hours and weekend availability on a case by case basis. For customer or product support visit the client portal or Submit A Ticket. Please read this Agreement carefully before accessing or using the Website. By accessing or using any part of the web site, you agree to become bound by the terms and conditions of this agreement. If you do not agree to all the terms and conditions of this agreement, then you may not access the Website or use any services. If these terms and conditions are considered an offer by MicroMacro Technology, acceptance is expressly limited to these terms. The Website is available only to individuals who are at least 13 years old. Your MicroMacroTechnology.com Account and Site. If you create a blog/site on the Website, you are responsible for maintaining the security of your account and blog, and you are fully responsible for all activities that occur under the account and any other actions taken in connection with the blog. You must not describe or assign keywords to your blog in a misleading or unlawful manner, including in a manner intended to trade on the name or reputation of others, and MicroMacro Technology may change or remove any description or keyword that it considers inappropriate or unlawful, or otherwise likely to cause MicroMacro Technology liability. You must immediately notify MicroMacro Technology of any unauthorized uses of your blog, your account or any other breaches of security. MicroMacro Technology will not be liable for any acts or omissions by You, including any damages of any kind incurred as a result of such acts or omissions. you have, in the case of Content that includes computer code, accurately categorized and/or described the type, nature, uses and effects of the materials, whether requested to do so by MicroMacro Technology or otherwise. By submitting Content to MicroMacro Technology for inclusion on your Website, you grant MicroMacro Technology a world-wide, royalty-free, and non-exclusive license to reproduce, modify, adapt and publish the Content solely for the purpose of displaying, distributing and promoting your blog. If you delete Content, MicroMacro Technology will use reasonable efforts to remove it from the Website, but you acknowledge that caching or references to the Content may not be made immediately unavailable. Without limiting any of those representations or warranties, MicroMacro Technology has the right (though not the obligation) to, in MicroMacro Technology's sole discretion (i) refuse or remove any content that, in MicroMacro Technology's reasonable opinion, violates any MicroMacro Technology policy or is in any way harmful or objectionable, or (ii) terminate or deny access to and use of the Website to any individual or entity for any reason, in MicroMacro Technology's sole discretion. MicroMacro Technology will have no obligation to provide a refund of any amounts previously paid. By selecting a product or service, you agree to pay MicroMacro Technology the one-time and/or monthly or annual subscription fees indicated (additional payment terms may be included in other communications). Subscription payments will be charged on a pre-pay basis on the day you sign up for an Upgrade and will cover the use of that service for a monthly or annual subscription period as indicated. Payments are not refundable. Unless you notify MicroMacro Technology before the end of the applicable subscription period that you want to cancel a subscription, your subscription will automatically renew and you authorize us to collect the then-applicable annual or monthly subscription fee for such subscription (as well as any taxes) using any credit card or other payment mechanism we have on record for you. Upgrades can be canceled at any time by submitting your request to MicroMacro Technology in writing. Fees; Payment. By signing up for a Services account you agree to pay MicroMacro Technology the applicable setup fees and recurring fees. Applicable fees will be invoiced starting from the day your services are established and in advance of using such services. MicroMacro Technology reserves the right to change the payment terms and fees upon thirty (30) days prior written notice to you. Services can be canceled by you at anytime on thirty (30) days written notice to MicroMacro Technology. Support. If your service includes access to priority email support. "Email support" means the ability to make requests for technical support assistance by email at any time (with reasonable efforts by MicroMacro Technology to respond within three business days) concerning the use of the VIP Services. "Priority" means that support takes priority over support for users of the standard or free MicroMacroTechnology.com services. All support will be provided in accordance with MicroMacro Technology standard services practices, procedures and policies. Responsibility of Website Visitors. MicroMacro Technology has not reviewed, and cannot review, all of the material, including computer software, posted to the Website, and cannot therefore be responsible for that material's content, use or effects. By operating the Website, MicroMacro Technology does not represent or imply that it endorses the material there posted, or that it believes such material to be accurate, useful or non-harmful. You are responsible for taking precautions as necessary to protect yourself and your computer systems from viruses, worms, Trojan horses, and other harmful or destructive content. The Website may contain content that is offensive, indecent, or otherwise objectionable, as well as content containing technical inaccuracies, typographical mistakes, and other errors. The Website may also contain material that violates the privacy or publicity rights, or infringes the intellectual property and other proprietary rights, of third parties, or the downloading, copying or use of which is subject to additional terms and conditions, stated or unstated. MicroMacro Technology disclaims any responsibility for any harm resulting from the use by visitors of the Website, or from any downloading by those visitors of content there posted. Content Posted on Other Websites. We have not reviewed, and cannot review, all of the material, including computer software, made available through the websites and webpages to which MicroMacroTechnology.com links, and that link to MicroMacroTechnology.com. MicroMacro Technology does not have any control over those non-MicroMacro Technology websites and webpages, and is not responsible for their contents or their use. By linking to a non-MicroMacro Technology website or webpage, MicroMacro Technology does not represent or imply that it endorses such website or webpage. You are responsible for taking precautions as necessary to protect yourself and your computer systems from viruses, worms, Trojan horses, and other harmful or destructive content. MicroMacro Technology disclaims any responsibility for any harm resulting from your use of non-MicroMacro Technology websites and webpages. Copyright Infringement and DMCA Policy. As MicroMacro Technology asks others to respect its intellectual property rights, it respects the intellectual property rights of others. If you believe that material located on or linked to by MicroMacroTechnology.com violates your copyright, you are encouraged to notify MicroMacro Technology in accordance with MicroMacro Technology's Digital Millennium Copyright Act ("DMCA") Policy. MicroMacro Technology will respond to all such notices, including as required or appropriate by removing the infringing material or disabling all links to the infringing material. MicroMacro Technology will terminate a visitor's access to and use of the Website if, under appropriate circumstances, the visitor is determined to be a repeat infringer of the copyrights or other intellectual property rights of MicroMacro Technology or others. In the case of such termination, MicroMacro Technology will have no obligation to provide a refund of any amounts previously paid to MicroMacro Technology. Intellectual Property. This Agreement does not transfer from MicroMacro Technology to you any MicroMacro Technology or third party intellectual property, and all right, title and interest in and to such property will remain (as between the parties) solely with MicroMacro Technology. MicroMacro Technology, MicroMacroTechnology.com, the MicroMacroTechnology.com logo, and all other trademarks, service marks, graphics and logos used in connection with MicroMacroTechnology.com, or the Website are trademarks or registered trademarks of MicroMacro Technology or MicroMacro Technology's licensors. Other trademarks, service marks, graphics and logos used in connection with the Website may be the trademarks of other third parties. Your use of the Website grants you no right or license to reproduce or otherwise use any MicroMacro Technology or third-party trademarks. Advertisements. MicroMacro Technology reserves the right to display advertisements on your blog unless you have purchased an ad-free account. Attribution. MicroMacro Technology reserves the right to display attribution links such as 'Blog at MicroMacroTechnology.com,' theme author, and font attribution in your blog footer or toolbar. Changes. MicroMacro Technology reserves the right, at its sole discretion, to modify or replace any part of this Agreement. It is your responsibility to check this Agreement periodically for changes. Your continued use of or access to the Website following the posting of any changes to this Agreement constitutes acceptance of those changes. MicroMacro Technology may also, in the future, offer new services and/or features through the Website (including, the release of new tools and resources). Such new features and/or services shall be subject to the terms and conditions of this Agreement. Termination. MicroMacro Technology may terminate your access to all or any part of the Website at any time, with or without cause, with or without notice, effective immediately. If you wish to terminate this Agreement or your MicroMacroTechnology.com account (if you have one), you may simply discontinue using the Website. Notwithstanding the foregoing, if you have a paid services account, such account can only be terminated by MicroMacro Technology if you materially breach this Agreement and fail to cure such breach within thirty (30) days from MicroMacro Technology's notice to you thereof; provided that, MicroMacro Technology can terminate the Website immediately as part of a general shut down of our service. All provisions of this Agreement which by their nature should survive termination shall survive termination, including, without limitation, ownership provisions, warranty disclaimers, indemnity and limitations of liability. Disclaimer of Warranties. The Website is provided "as is". MicroMacro Technology and its suppliers and licensors hereby disclaim all warranties of any kind, express or implied, including, without limitation, the warranties of merchantability, fitness for a particular purpose and non-infringement. Neither MicroMacro Technology nor its suppliers and licensors, makes any warranty that the Website will be error free or that access thereto will be continuous or uninterrupted. You understand that you download from, or otherwise obtain content or services through, the Website at your own discretion and risk. Limitation of Liability. In no event will MicroMacro Technology, or its suppliers or licensors, be liable with respect to any subject matter of this agreement under any contract, negligence, strict liability or other legal or equitable theory for: (i) any special, incidental or consequential damages; (ii) the cost of procurement for substitute products or services; (iii) for interruption of use or loss or corruption of data; or (iv) for any amounts that exceed the fees paid by you to MicroMacro Technology under this agreement during the twelve (12) month period prior to the cause of action. MicroMacro Technology shall have no liability for any failure or delay due to matters beyond their reasonable control. The foregoing shall not apply to the extent prohibited by applicable law. Indemnification. You agree to indemnify and hold harmless MicroMacro Technology, its contractors, and its licensors, and their respective directors, officers, employees and agents from and against any and all claims and expenses, including attorneys' fees, arising out of your use of the Website, including but not limited to your violation of this Agreement. Miscellaneous. This Agreement constitutes the entire agreement between MicroMacro Technology and you concerning the subject matter hereof, and they may only be modified by a written amendment signed by an authorized executive of MicroMacro Technology, or by the posting by MicroMacro Technology of a revised version. Except to the extent applicable law, if any, provides otherwise, this Agreement, any access to or use of the Website will be governed by the laws of the state of Colorado, U.S.A., excluding its conflict of law provisions, and the proper venue for any disputes arising out of or relating to any of the same will be the state and federal courts located in Adams County, Colorado. Except for claims for injunctive or equitable relief or claims regarding intellectual property rights (which may be brought in any competent court without the posting of a bond), any dispute arising under this Agreement shall be finally settled in accordance with the Comprehensive Arbitration Rules of the Judicial Arbitration and Mediation Service, Inc. ("JAMS") by three arbitrators appointed in accordance with such Rules. The arbitration shall take place in Westminster, Colorado, in the English language and the arbitral decision may be enforced in any court. The prevailing party in any action or proceeding to enforce this Agreement shall be entitled to costs and attorneys' fees. If any part of this Agreement is held invalid or unenforceable, that part will be construed to reflect the parties' original intent, and the remaining portions will remain in full force and effect. A waiver by either party of any term or condition of this Agreement or any breach thereof, in any one instance, will not waive such term or condition or any subsequent breach thereof. You may assign your rights under this Agreement to any party that consents to, and agrees to be bound by, its terms and conditions; MicroMacro Technology may assign its rights under this Agreement without condition. This Agreement will be binding upon and will inure to the benefit of the parties, their successors and permitted assigns. Payment Policy. MicroMacro Technology utilizes a system for automatic billing. Autopay will charge your card on file on the due date set by the invoice. You will be subscribed to autopay for invoices automatically. 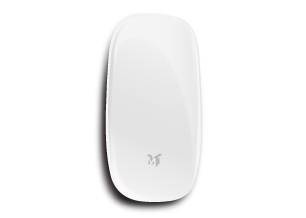 To opt out of the feature please send a message to billing@micromacrotechnology.com to be removed from this service. BillingInvoices are due within 3 days of their delivery for work that has been completed unless otherwise negotiated and agreed upon. Invoices will receive a 10% late fee if the invoice is not paid within 3 days of the due date. MicroMacro Technology ("MicroMacro Technology") operates MicroMacroTechnology.com and may operate other websites. It is MicroMacro Technology's policy to respect your privacy regarding any information we may collect while operating our websites. Like most website operators, MicroMacro Technology collects non-personally-identifying information of the sort that web browsers and servers typically make available, such as the browser type, language preference, referring site, and the date and time of each visitor request. MicroMacro Technology's purpose in collecting non-personally identifying information is to better understand how MicroMacro Technology's visitors use its website. From time to time, MicroMacro Technology may release non-personally-identifying information in the aggregate, e.g., by publishing a report on trends in the usage of its website. MicroMacro Technology also collects potentially personally-identifying information like Internet Protocol (IP) addresses for logged in users and for users leaving comments on MicroMacroTechnology.com blogs/sites. MicroMacro Technology only discloses logged in user and commenter IP addresses under the same circumstances that it uses and discloses personally-identifying information as described below, except that commenter IP addresses and email addresses are visible and disclosed to the administrators of the blog/site where the comment was left. Certain visitors to MicroMacro Technology's websites choose to interact with MicroMacro Technology in ways that require MicroMacro Technology to gather personally-identifying information. The amount and type of information that MicroMacro Technology gathers depends on the nature of the interaction. For example, we ask visitors who sign up at MicroMacroTechnology.com to provide a username and email address. Those who engage in transactions with MicroMacro Technology are asked to provide additional information, including as necessary the personal and financial information required to process those transactions. In each case, MicroMacro Technology collects such information only insofar as is necessary or appropriate to fulfill the purpose of the visitor's interaction with MicroMacro Technology. MicroMacro Technology does not disclose personally-identifying information other than as described below. And visitors can always refuse to supply personally-identifying information, with the caveat that it may prevent them from engaging in certain website-related activities. MicroMacro Technology may collect statistics about the behavior of visitors to its websites. MicroMacro Technology may display this information publicly or provide it to others. However, MicroMacro Technology does not disclose personally-identifying information other than as described below. MicroMacro Technology discloses potentially personally-identifying and personally-identifying information only to those of its employees, contractors and affiliated organizations that (i) need to know that information in order to process it on MicroMacro Technology's behalf or to provide services available at MicroMacro Technology's websites, and (ii) that have agreed not to disclose it to others. Some of those employees, contractors and affiliated organizations may be located outside of your home country; by using MicroMacro Technology's websites, you consent to the transfer of such information to them. MicroMacro Technology will not rent or sell potentially personally-identifying and personally-identifying information to anyone. Other than to its employees, contractors and affiliated organizations, as described above, MicroMacro Technology discloses potentially personally-identifying and personally-identifying information only in response to a subpoena, court order or other governmental request, or when MicroMacro Technology believes in good faith that disclosure is reasonably necessary to protect the property or rights of MicroMacro Technology, third parties or the public at large. If you are a registered user of an MicroMacro Technology website and have supplied your email address, MicroMacro Technology may occasionally send you an email to tell you about new features, solicit your feedback, or just keep you up to date with what's going on with MicroMacro Technology and our products. If you send us a request (for example via email or via one of our feedback mechanisms), we reserve the right to publish it in order to help us clarify or respond to your request or to help us support other users. MicroMacro Technology takes all measures reasonably necessary to protect against the unauthorized access, use, alteration or destruction of potentially personally-identifying and personally-identifying information. If MicroMacro Technology, or substantially all of its assets, were acquired, or in the unlikely event that MicroMacro Technology goes out of business or enters bankruptcy, user information would be one of the assets that is transferred or acquired by a third party. You acknowledge that such transfers may occur, and that any acquirer of MicroMacro Technology may continue to use your personal information as set forth in this policy.